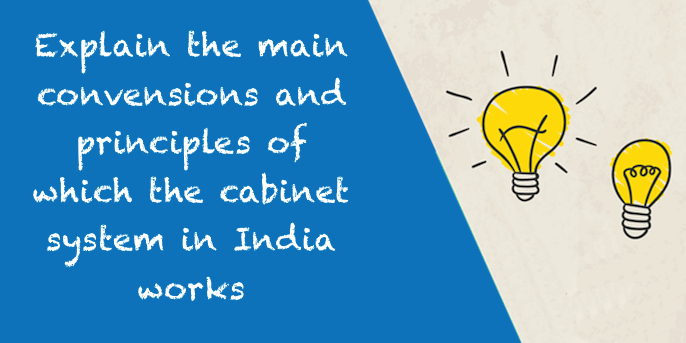 Explain the main convensions and principles of which the cabinet system in India works. Also discuss the main functions of the cabinet. 1. President Acts only as Constitutional Head : The principal characteristic of a parliamentary government is that the Head of the State exercises only nominal powers. The administration of the country is run by the head of the Government, that is the Prime Minister. But Article 75(3) of the Constitution further lays down that the Council of Ministers is to be collectively responsible to the House of the People. 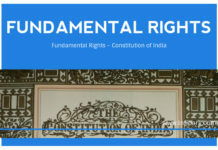 The provision of responsibility to Parliament connotes that India has adopted parliamentary form of government. The Prime Minister rules the country in the name of the President. According to Article 78 of the Constitution, all important decisions are actually taken by the Council of Ministers and they are communicated to the President by the Prime Minister. The President can only submit for the consideration of the Council of Ministers any matter of national interest or any matter on which a decision has been taken by a Minister but not considered by the Council of Ministers. According to 42nd Amendment Article 74 (1) the President will act according to the advice of the Council of Ministers. The President of India does not attend the meetings of the Cabinet. It is the Prime Minister who, being the keystone of the Cabinet arch, presides over the Cabinet meetings. 3. Collective Responsibility of the Ministers to the Lok Sabha : Following the British convention, the Ministers in India are collectively and not severally responsible to the Lok Shaba. Thus in practice every Minister is equally responsible for any lapse on the part of his colleague. A censure motion against one Minister amounts to no-confidence against the whole Ministry in which case all the Ministers including the Prime Minister have to go out of office The members of the Parliament keep the Ministers under their thumb mother ways also. They ask questions and supplementary questions which have to be answered satisfactorily by the Minister concerned. By adopting adjournment motions or censure motions the President secures the obedience of the Ministers. 4. Principle of Secrecy : Every Minister before taking his office has to take an oath of secrecy. They are forbidden to divulge the secrets of the department to the public. They are absolutely free to express divergent views in the Cabinet meetings but once a decision is taken by a majority vote, each Minister has to honour it. They have to appear before the Public and Parliament as one strong team. The Cabinet Secretariat keeps a record of all Cabinet proceedings. The employees of the Secretariat are also warned not to leak out anything. Only the Prime Minister from time to time passes on Cabinet decisions to the Press. If a Minister intends to lay bare his differences with the Prime Minister, before any House, he has to seek the consent of the Prime Minister. 5. Political Homogeneity : Usually all the Ministers belong to the same political party, naturally they try to work out the party’s ecleions manifesto. If the Prime Minister intends to form a coalition Ministry, then he arrives at an understanding with the leaders of other groups to work a common programme. If some Minister in a coalition Ministry does not agree to the majority decision, he relinquishes his office. 6. Leadership of the Prime Minister : Whereas in the English Constitution it is only a convention that the King will endorse the appointment of Ministers made by the Prime Minister, in Indian Constitution it is clearly written that the President will apoint the Ministers on the advice of the Prime Minister who will be the Head of the Council of Ministers. Thus the Indian Constitution acknowledges the leadership of his team of Ministers. The Prime Minister is the Chief of Union Cabinet. He occupies the chair in all the sittings of his Ministers. He advises the President regarding the allocation of portfolios to the Ministers. He can also dismiss any member of his team for being defiant. If a Minister refuses to resign, the Prime Minister tenders his own resignation and in the new Miaisteiy he may drop our that defaulting Minister. !fa Minister loses the confidence of the Lok Sabha, the Prime Minister stands by his side and tenders his own resignation. 1. 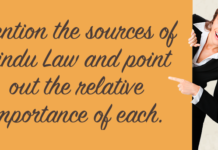 Framing or Determining the Policies : The Union Cabinet formulates the general policy of the country. It also shapes the foreign . policy of the Government. All the important decisions are taken in the Cabinet meetings. For instance, India’s policy of non-alignment and the resistance to colonialism, imperialism, racism and military pacts has the support of all the Ministers. Policy-making is the most delicate and difficult task for any Parliament. If the Parliament refuses to endorse them, the Ministry is forced to resign or the Prime Minister having to get the verdict of the people in favour of his policies, requests the President to dissolve the House and hold fresh elections. 2. Running the Administration : The Cabinet forms the core of the government. It is the strongest administrative wing. Every Minister holds, one or more portfolios and feels responsible for the good administration of his departments. The Prime Minister co-ordinates the functioning of various departments. He promotes co-operation between various Ministers. A matter which concerns more than one department is discussed in the special meetings of the Cabinet. 3. Preparation of the Bills and Piloting them in Parliament: It is the function of the Ministers to prepare the draft of all important Bills and present it before the Parliament for approval. These are called official Bills and are given priority and preference over private Bills. A Bill moved by a private member had little chance of reaching the Statute book unless supported by the ruling party. Besides moving and piloting the Bills, the Cabinet prepares a legislative programme of agenda for the new session of he Union legislature. The Cabinet also prepares the text of President’s inaugural address to be delivered on the first day of every year’s new session. The Minister also have to answer the questions and supplementary questions asked by the members of both the Houses. Since the Cabinet enjoys the backing of majority group in the House, it does not have to face much difficulty in getting all government measures approved by the House. 4. Budget : The Finance Minister with the co-operation of other Ministers prepares a budget for the next financial year. It is thoroughly discussed in the Cabinet before being presented in a final shape in the Lok Sabha. If the Parliament refuses to accept the Budget in its original form, the Cabinet is constrained to resign. Next articleExplain the Pardoning Power of the President.